Near the start of every mediation, once each side is in their own caucus room, I spend time talking directly with the injured worker. There are at least three reasons to do so. 1. 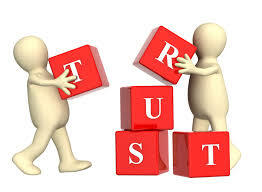 I want to build trust in the mediation process. The injured worker needs to feel part of and emotionally invested in the mediation process. The injured worker is probably unfamiliar with the mediation process and may be apprehensive. The parties may distrust each other. Empathy is one of the traits of a good mediator. I assure the injured worker that nothing will happen that the injured worker does not agree to. When the injured worker trusts the mediator and the mediation process to be fair, the likelihood of settlement increases. 2. Catharsis is part of the settlement process. The mediation may be the closest the Injured Worker will get to a day in court. Telling the story is a prerequisite to accepting settlement. I want to make sure the Injured Worker gets the chance to tell the story in a neutral setting. Letting out emotions is good, and crying not uncommon. Occasionally an attorney will intercede and take the place of the client to tell the story from the client’s viewpoint. This is a mistake. 3. Sometimes the Injured Worker’s concerns are not being addressed. At one mediation, when it looked like the attorneys had wrapped up all the issues, the Injured Worker asked me, “When will I be able to go back to work?” A return to work was not part of the attorneys’ deal, and I had to rewind the process to make sure the Injured Worker’s concerns were addressed. When the Injured Worker feels able to speak directly to the mediator, this type of omission– which could lead to problems for all participants later– is less likely to occur. I participated in many workers compensation mediations before I became a mediator. I never saw a mediator take the time to talk to the injured worker. Instead, I saw mediators create a barrier between themselves and the injured workers that made settlement more difficult. I work hard to make sure no communication barriers exist. I recently finished reading Pre-Suasion by Robert Cialdini. He relates the story of a group of management consultants who were working at their client’s site in a glass-enclosed conference room. They were tasked with designing incentive programs to reward employees for reaching goals. Rather than being distracted by the activity they could see around them, the ability of the consultants to see the people they were designing for led to a more successful result. They felt a unity with those people. Once this was realized, they placed pictures of workforce members around later on-site workspaces with the same result. What if claims offices were decorated with pictures of people representing injured workers? This could be pictures of people with disabilities, such as people in wheelchairs, people getting into a medical transportation vehicle, people as patients. Mix in headshots of a diverse group of people. Cialdini’s research tells us that claims professionals are more likely to feel unity with people they can see. By the way, he also says that those sentimental motivation posters actually succeed. Who would have guessed? Perhaps no one is marketing images just this way, but it seems like it would be pretty easy to create an appropriate collection. This seems like an inexpensive way to determine if viewing images of injured workers can produce more effective advocacy based claim handling. What do you think? Would management give it a try?